Billiard Consultant for Marvel's The Punisher, with actor Jon Bernthal of The Walking Dead, Daredevil, Wolf of Wall Street. On set of Marvel’s The Punisher. 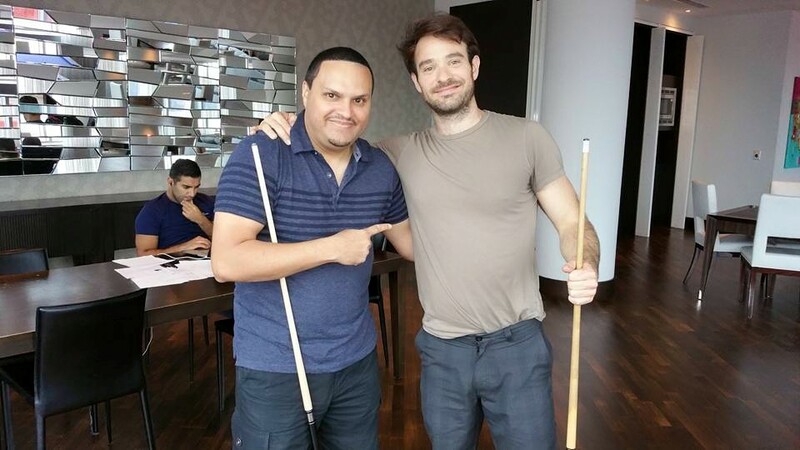 Billiard Consultant to actor Charlie Cox for scene’s in Marvel’s Daredevil. Trick Shot artist for Daredevil 2’s movie premier party in Brooklyn, NY. Trick shots at Daredevil 2’s movie premier party..
On set with Neal Caffrey (Matt Bomer). 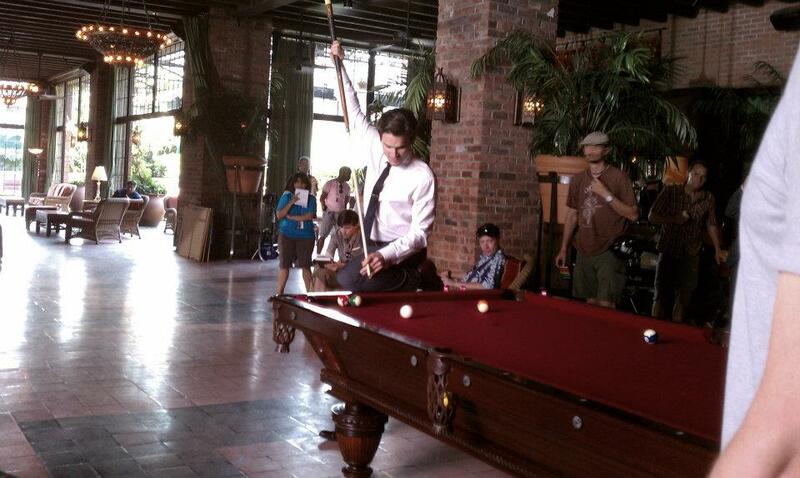 Matt Bomer in action doing the shot we planned for the scene. Another lesson today with legendary singer Aaron Neville at Amsterdam Billiards! Hanging out with Jake McDorman on the set of Limitless! Tony Robles has worked in television and cinema for years and has had multiple news articles feature his career. Pool Consultant & Intructor to Jon Berthal for scenes in Marvel's tv series, The Punisher. 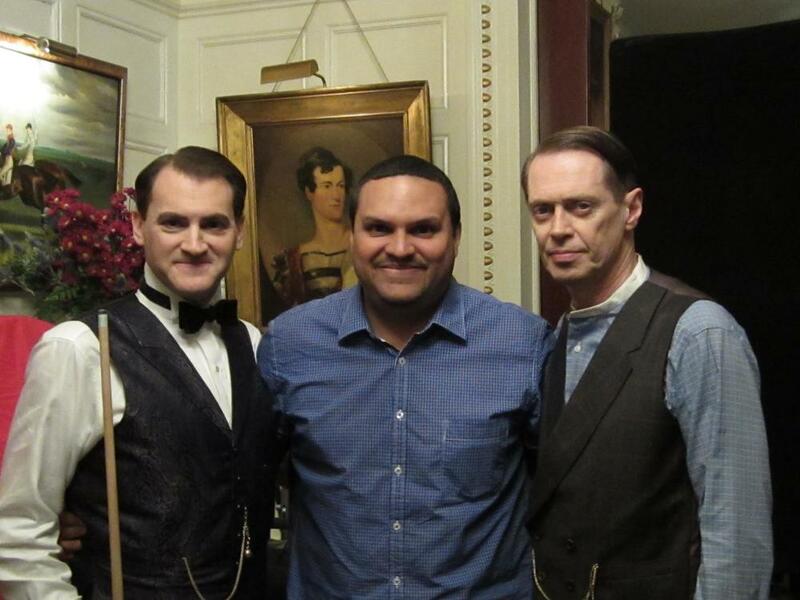 Billiard Consultant for ABC TV’s Pan Am. Technical Adviser and Actor in the movie Turn the River with Famke Janssen (X-Men) and Rip Torn (Men in Black).